Part 1 – Introduction please read this for the background you’ll need to fully enjoy this post. In this post, we’ll go over some of the financial considerations for running a meetup, using Tahoe Silicon Mountain (TSM), the nonprofit we’ve been running since 2010, as an example in some cases. It’s important to understand what costs you will incur as part of running your mountain town meetup. Understanding your costs will help you ensure that you are bringing in enough money to cover the costs, which is part of running a sustainable meetup. Create a budget to determine what your expenses will be. Then, figure out how you will cover those expenses. Just some of the possible expenses are below. Equipment and materials. For Tahoe Silicon Mountain, some examples are projectors and cords, audio and video supplies, laptops and payment devices. As an organizer, when expenses are minimal, it might seem easy to cover the expenses yourself. However, this isn’t likely to be sustainable because it can leave your meetup vulnerable if the organizer moves, has financial difficulties or is otherwise unable to continue support. There are a few main ways to make sure your meetup expenses are covered. We’ll briefly cover each of these, including some pros and cons. Dues can be charged on a monthly or yearly basis and allow free or discounted entrance to your events or provide other benefits, like t-shirts or other swag. One benefit of charging membership dues is that you are collecting money in advance of your events, so it can help with planning, paying deposits or making reservations that require either a minimum commitment or advance payment. A downside is that it could be harder to get people to commit to a long-term membership if they are not sure they can regularly attend. One large membership payment versus smaller event payments could be harder to secure. Offering membership can create a dynamic where members and non-members are treated differently. Consider how this will affect the continuity of the group. Event fees can be charged either instead of or in addition to membership fees. So, you could have a members entry fee and a separate non-members entry fee. Sponsorship can come in many forms, either corporate or individual. At Tahoe Silicon Mountain, we offer both. Our individual Mountain Minds Monday sponsorship is a one-time per year fee that enables a person to attend all events for a year. We provide food and one drink at no additional cost when someone is an annual sponsor. We have a few different corporate options, with the higher tiers providing more visibility at our events and on our marketing materials. Accepting corporate sponsorship means you’ll need to dedicate the time to come up with the sponsorship programs, promote your sponsors and work to foster successful relationships. In addition to coming up with your own sponsorship program, you can also apply for sponsorship, like this one offered by the Truckee Tahoe Airport, specifically for 501(c)3 nonprofits. Before deciding on membership fees, entrance ticket prices or event fees, you may want to consider that charging for your events or charging more than customary may prevent some people from attending. This could thwart your meetup growth or deter people who may be a valuable part of your community. At TSM, we’ve always strived to make our events as open and inclusive as possible. At first, all of our events were free (most of them still are), but for Mountain Minds Monday, where we provide food, there used to be a $5 fee if you wanted to eat. Sponsorships covered the rest of the food-related expenses, but this became unsustainable. Currently at Mountain Minds Monday, we use a pay-what-you-can model with a minimum of $5. If you’d like to attend for free, you may – just volunteer to help out at the event. For local high school and college students, we are also able to provide free entrance and dinner as a result of sponsorship. We feel strongly that people of all income levels should have access to professional networks and educational content, so we put a lot of thought and effort into pricing our events. Here are a few additional ways you can generate income if you’re a nonprofit. Accept donations, either to cover your overhead or that the donor earmarks for specific events or functions. Check with your local community foundation or chamber of commerce. 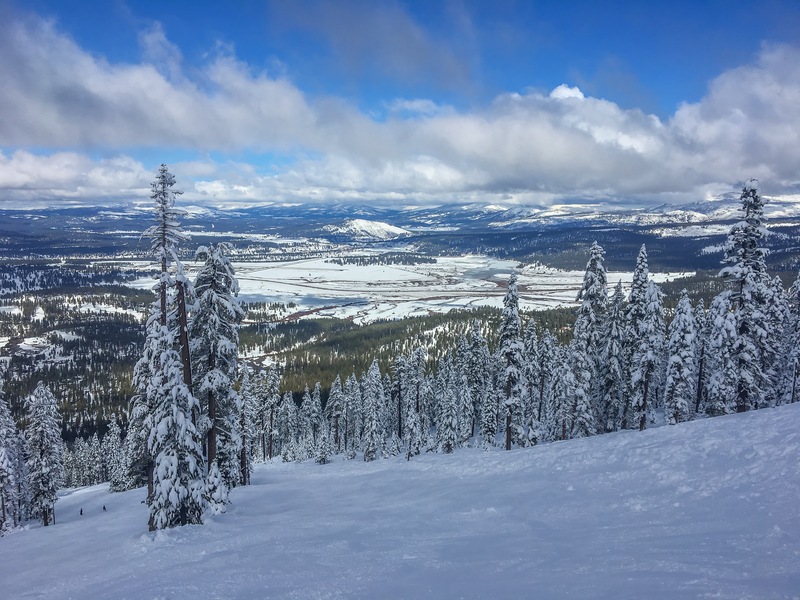 In Truckee, special event funding is available through Truckee Tourism Business Improvement District (TTBID) and the Tahoe Truckee Community Foundation. Grant applications usually have specific guidelines on how much money you can request and when you need to request it. Sometimes the applications are rolling and other times it’s a competitive process once per year. Be sure to check all reporting requirements too. Where does the money live? You might not need to hold any money if your expenses can be covered on an event-by-event basis. If you bring a group to a venue that charges each person individually and you have a sponsor that covers your administrative fees directly (like Meetup.com fees), then a bank account might not be necessary. Once you have grown beyond a simple model like above, consider a legal structure like a 501(c)3 nonprofit, so that you can open a bank account, or work with another nonprofit as an umbrella so that they can help you manage the finances.